Baked Apples at their best! 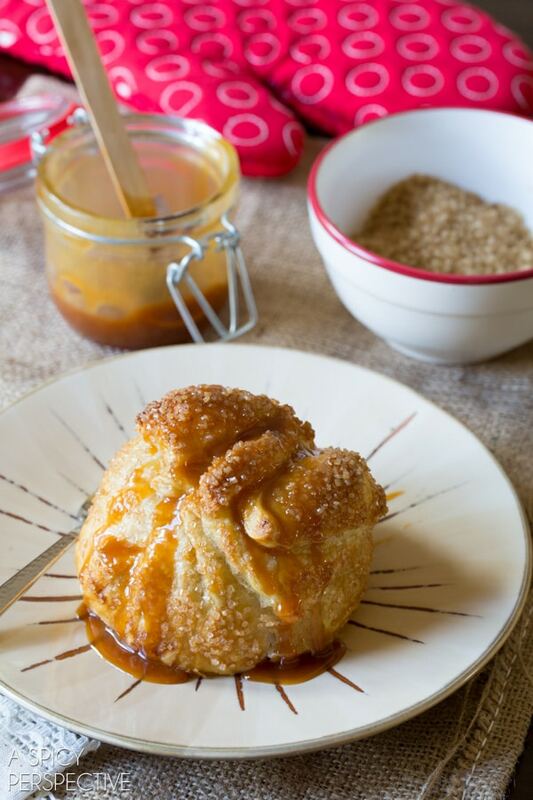 Our baked apple recipe, lovingly called “Apple Bombs” is like fireworks of fall flavor. 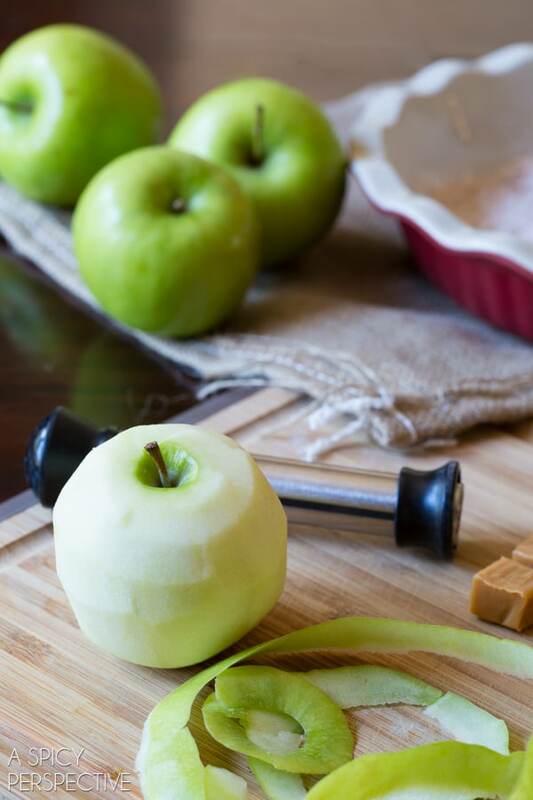 These babies are easier to whip up than a classic apple pie and are fun to wrap and give as edible gifts! That’s all I have to say about this recipe. Ok, not really… I have A LOT to say today. 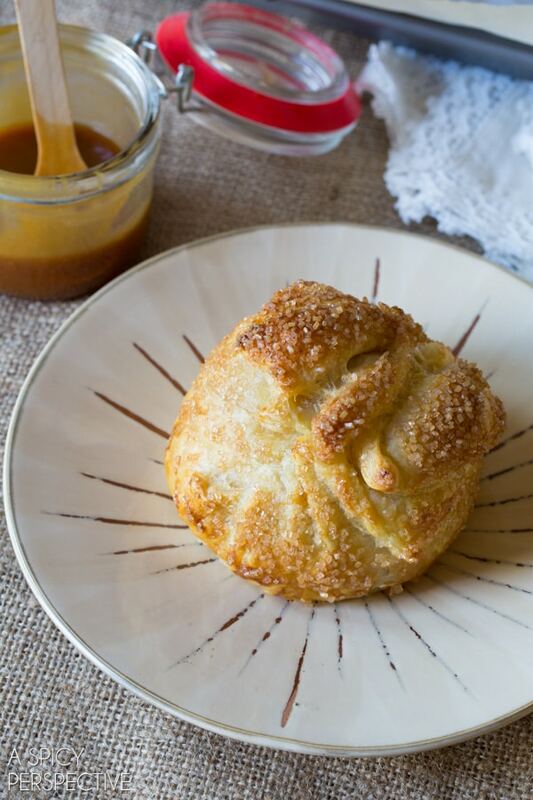 If you’ve ever had an intense apple craving in the cusp of fall. This baked apple recipe is going to blow your mind. Can I say boom again? The apples are lightly coated in sugar, so the true apple essence really shines through. Each whole baked apple is tender, yet firm on the inside, with a crisp golden pastry wrapper for buttery crunch. Oh, and did I mention there are caramels stuffed in the hollowed core of each apple? They melt and fill the hole. 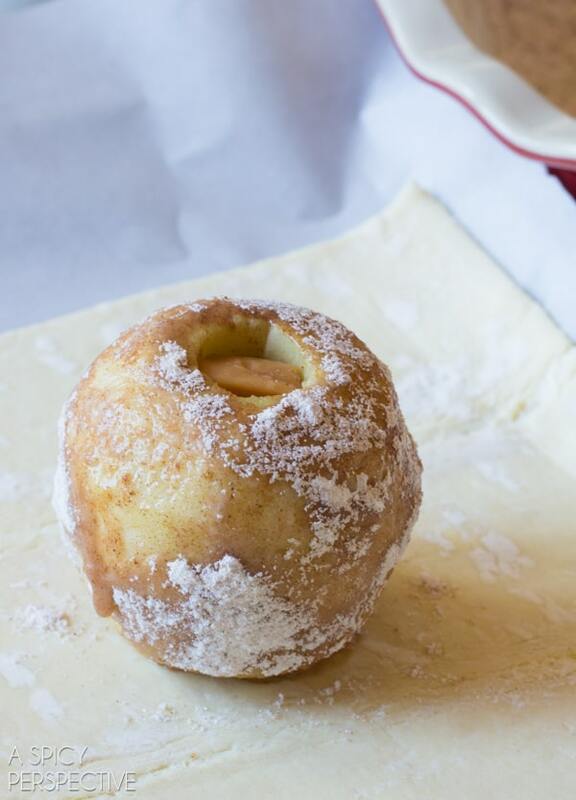 Each apple is rolled in a spice sugar mixture, stuffed with caramels, then wrapped in puff pastry. The wrapping process is as easy as wrapping a package. Simply press the tops together and let the corners folder over. Then brush with egg wash and sprinkle with course sugar. Once your apple bombs are wrapped and sugared, place them in the freezer for 15 minutes. This will harden the pastry around the apple to ensure it doesn’t slump while baking. 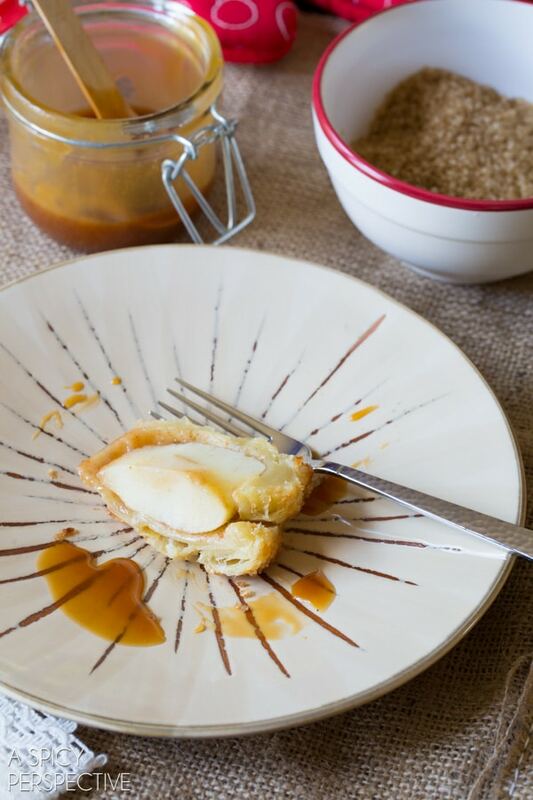 After they’ve cooled a little, you have the option of picking them up with both hands and biting right through the puff pastry, drizzling with caramel sauce and using a knife and fork, or wrapping them individually for amazing edible gifts. I like mine drizzled in caramel… you can never have too much caramel. 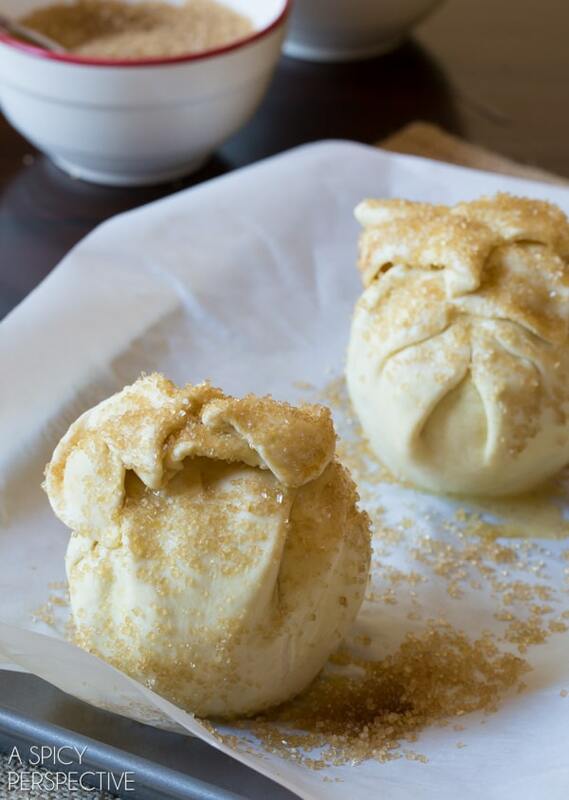 Any way you serve them, these apple bombs provide an explosion of happiness for all who partake! Preheat the oven to 400 degrees F. Mix the granulated sugar, corn starch, apple pie spice and salt in a shallow dish. 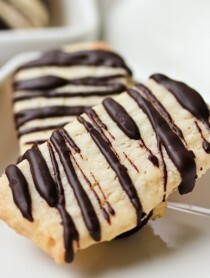 Cut both pieces of puff pastry in half so you have 4 rectangles. Use a rolling pin to gently roll out any cracks or creases. Then lay them on a large parchment paper lined baking sheet. Roll 4 peeled and cored apples in the sugar mixture and set one in the middle of each piece of puff pastry. Unwrap the caramels and stick 3 caramel squares down in the center of each apple. To wrap each apple, pull the short sides of the puff pastry halfway up the side on the apple and hold them there with one hand. Then lift the longer sides up to the top and pinch the seams together on each side (over the short edges) to completely cover the apple. Pinch the excess puff pastry together at the top to seal, then arrange the flaps in a pretty way. Then whisk 2 eggs with 2 tablespoons of water and brush the egg wash over each apple. Sprinkle the tops with Demerara sugar. THIS IS THE MOST IMPORTANT STEP… Place the baking sheet with the wrapped apples in the freezer for 15-20 minutes to harden the puff pastry. This will ensure your puff pastry bakes in place and does not sag to the bottom. But don’t leave them in the freezer longterm. You don’t want the apples to freeze. Once the puff pastry is hard, place the baking sheet in the oven and bake for 25 minutes, until puffy and golden. Cool for 10 minutes before serving. 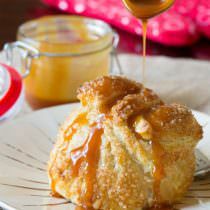 Drizzle the tops with extra caramel sauce if you like! It would be nice if the apples came out a little softer. I plan to make them again. Thinking I might nuke them before rolling them in the spices. 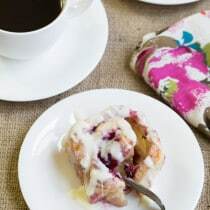 We have a recipe in my area like this we call an apple dumpling, we use a pie dough for it, I usually cut the apple up more so that it can cook through really well. We also do a carmelized sugar sauce drizzled over after baking. 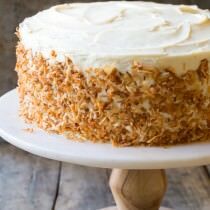 Great with ice cream, whipped cream, or my favorite is with a bit of milk! Family loved them anyways, but i may try reducing temperature a bit and bake for a little longer next time. 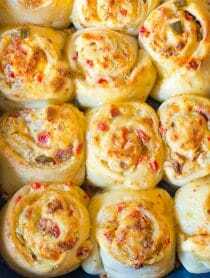 @Canuck_Cook; THANK YOU for commenting AFTER you made these! Your honest comments about the baking time is what I was wondering about, just based on my experience versus the recipe. Now I know! Wish everyone would reserve comments until they had made the recipe. I just made them, and spread the seeds of one fresh vanilla bean over the surface of each apple; the smell alone while they baked was heavenly, and the flavor was wonderful. It is a great fall dessert! 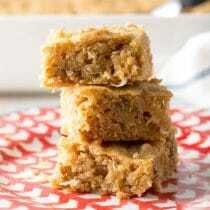 Have you ever tried it with nut butters instead of caramel, yummy! Love apples and peanut butter together. could you use pie crust instead of puff pastry? Hi Stacey! Probably so, but the crust will be more dense than flaky. Let me know how it turns out if you try it! These look great. Just wondering if anyone tried freezing the assembled pastry for a week before baking. I need something that can be prepared in advance. Just made this tonight and it was FANTASTIC! 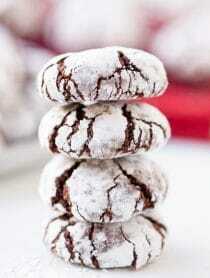 I have to make these!!! One question could you use can biscuits to wrap them? If you wrap them individually for gifts, would you eat it cold or reheat it? Have you tried one a day or two after making them? Thanks! I would give them away with instructions to: refrigerate, eat within 3 days, and to warm slightly in the oven so they aren’t cold. Room temperature is fine, but not cold. I love everything about this! So perfect for fall! Oooohh, baked apples are amazing! Any tips on coring them? Hi Matea, I used a circular apple core tool. They are cheap and you can find them at Target or any kitchen store. You can see it in the third image. I think you just dropped the mike! These look awesome and are super super cute!!! I love how their individual :D I’m definitely going to have to try these this fall! Oh my word. I need one, immediately! 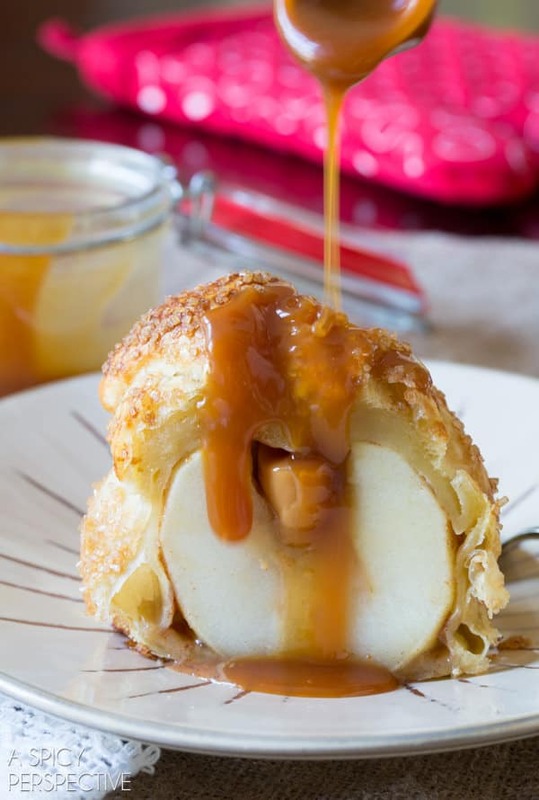 This baked apple recipe looks amazing. Loving the caramel. I think I might have to make a batch real soon. OMG! This is just amazing.. These look incredible, love the caramel drizzle! I used to make sort of like this when I was a teenager believe it or not. The world was flat then of course. How wonderful to be reminded o f it once again. Thank you! Whoa. I love love love these! BOOM is right! Now this is a fabulous fall treat!! 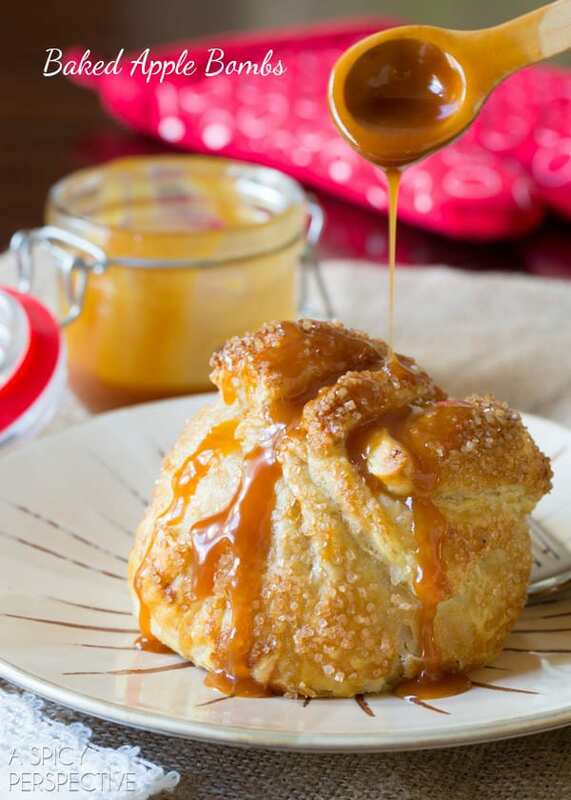 The gooey caramel inside is calling my name! This is brilliant! What a great idea! These look so good! Those look INCREDIBLE! We’ve got a fall-themed party we’re going to in a couple of weeks, and I may have to make these for that! This is just TOO GOOD!!! I love it that there is caramel in the middle! Wow, love everything about these! So unassuming from the outside, but then you cut into them and BOOM! 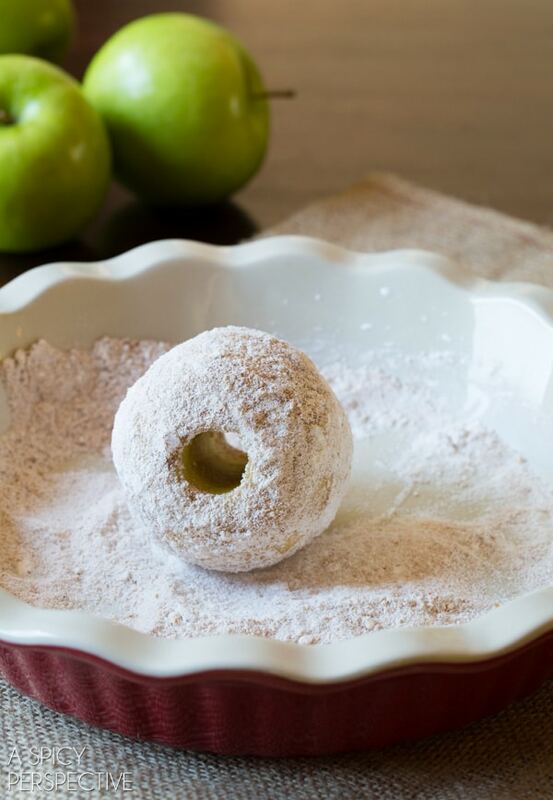 I love that these are super easy and each person can share or have their individual apple bomb. These look great. What a great idea! Perfect for when I don’t want to make a whole pie – brilliant! How fun are these?!! The perfect recipe to get in the fall spirit! 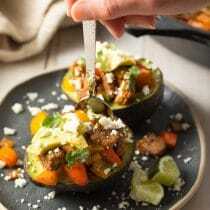 Love this great Fall recipe! Oh. My. Word. This looks incredible and easy and BOOM! I want one! Definitely on my list for the fall! Thanks Sommer!